(SKNIS): Government’s reform of the justice system in St. Kitts and Nevis continued on Thursday (March 29) with the successful passage of the Magistrate’s Code of Procedure (Amendment) Bill 2018 in the National Assembly. 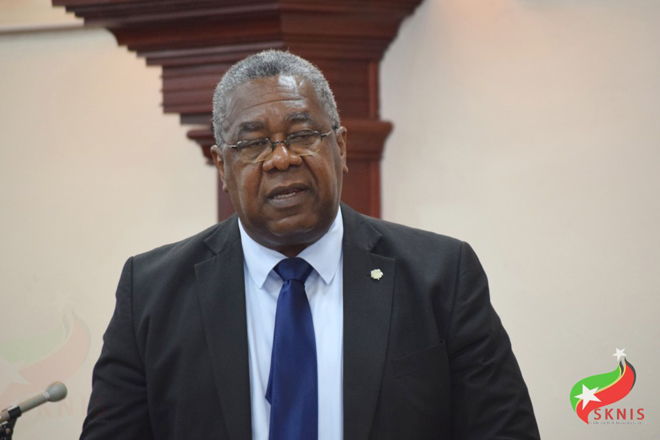 The Bill was piloted through the Federal Parliament by Attorney General and Minister of Justice, Honourable Vincent Byron, and when gazetted, it will become law thereby abolishing the Preliminary Inquiry (PI) procedure from the court system. The PI requires a Magistrate to consider evidence and testimony from the accused and the victim before deciding if a matter should be heard in the High Court. The process unfortunately can be a lengthy one, sometimes taking months and even more than a year before a recommendation can be given. The PI system will be replaced with a series of pre-trial proceedings intended to simplify and shorten criminal proceedings. The attorney general said this will help to spare victims of crime the trauma of having to relive the details of the incident through testimony before the actual trial. It also eliminates the need for the perpetrator to give evidence multiple times. “What this Bill is intended to do is to reduce this process to something that is more efficient [and] more effective for the system as a whole,” Honourable Byron stated, noting that the amendment introduces paper committal proceedings where a magistrate will now consider sworn statements to determine if there is enough evidence to try the case at the High Court. “It reduces time and so gives us greater access to justice. It reduces cost … in terms of time and expenses and it makes us as a community get access to justice [quickly],” Minister Byron added. He reported that the new amendments were welcomed by members of the security forces and persons in the community. The commissioning of a second High Court in Basseterre one year ago, has also positively impacted the execution of justice in St. Kitts and Nevis. It also was a part of the justice reform agenda.